We are very excited to announce the preview of our report page tooltips feature. This feature lets you design a report page to be used as a custom tooltip for other visuals in your report. This gives you full flexibility to design whatever kind of custom tooltips you want, from using cards to show detailed information to miniature drillthrough pages shown on hover. From here, there are two ways you can start using this tooltip in your report. The first is to tie it to a specific field using the Tooltip fields bucket in the Filters pane. This behaves similarly to the drillthrough fields bucket. Any fields you put into the tooltip fields bucket will be tied to this tooltip. 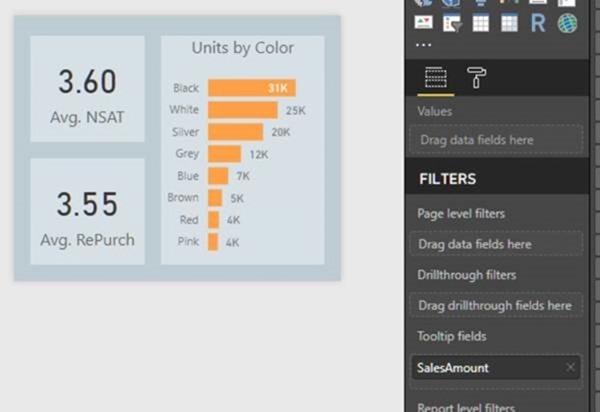 If you use this field in charts throughout your report, this tooltip will be used instead of the default Power BI tooltip. You can put both categorical and numerical fields in this bucket, including measures. That page will be used as a tooltip in other charts using the SalesAmount field. The other way you can tie a custom tooltip page to your charts is to manually set it. Visuals that support report page tooltips now has a Tooltip card in the formatting pane. In the card, you can set any page that’s marked as a Tooltip page, even if it doesn’t have anything in the Tooltip field bucket, to be the tooltip for this visual. This is useful if you want to design a tooltip to be used for a specific visual. If you manually override the tooltip in this card, you can always go back to our “automatic” selection by selecting Auto in the dropdown list. You can also completely turn the report page tooltips off for a chart using the toggle in the Tooltip card. 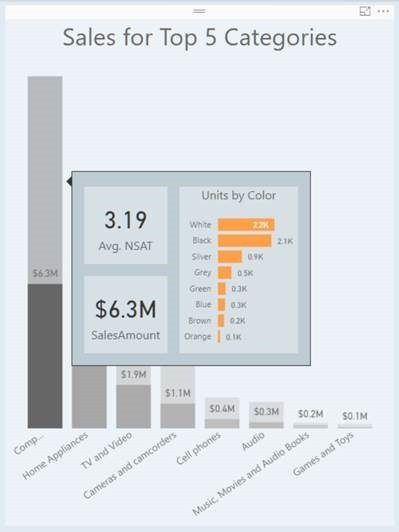 This will force a chart to use Power BI’s default tooltip, even if there are matching report page tooltips in the report. This feature is in preview, so you will need to turn it on in the Options dialog (File > Options and settings > Options > Preview features). Currently report page tooltips are not supported when viewing reports in our mobile apps or in embedded environments, including Publish to web. 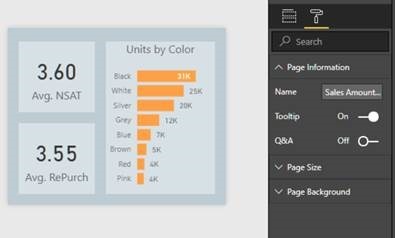 In these cases, we will fall back to Power BI’s default tooltip. Report page tooltips are also not supported yet for custom visuals. Please try out this new preview feature and let us know what you think! Back in October, we released a preview of bookmarking, a powerful feature that can be used for anything from storytelling to app-like navigation. Since then we’ve updated the feature to add more flexibility and we ran a contest that resulted in some pretty amazing submissions. This month, we are very excited to make bookmarking generally available. 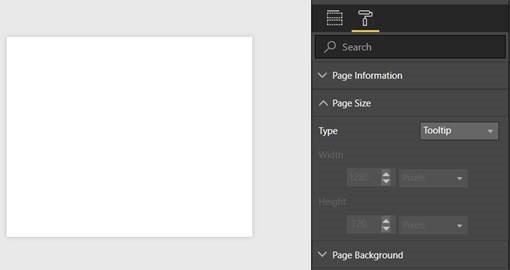 This means you will no longer need to turn bookmarking on through the Preview feature tab in the Options dialog, and you can now create bookmarks in the Power BI service without needing to first create a bookmark in Power BI Desktop. This also means that all the custom visuals that are published by Microsoft on AppSource support bookmarking. Other visuals in the marketplace are in the process of adding support to bookmarking. Our formatting improvement this month is an improvement for table and matrix field formatting. For numerical values, you can now control both the display units and decimal places per column similar to what you can already do for data labels on charts. This setting will override any model-level formatting set for that field. Frequently, if you are embedding your published report, especially if it is in a webpage, you don’t want or expect your users to do many of the actions that currently show in our visual header, such as opening the visual in focus mode or drilling down. If this is the case, we now have a way to completely disable the visual header for your entire report when it’s viewed by consumers. To turn off the visual header, you can check the Hide the visual header in reading view box in the Report settings section in the Options dialog. Once you’ve done this and published, you will no longer see the header for any visuals in your report when it’s being consumed. This includes Reading mode in the Power BI service, Publish to web reports, and any other embedding experience. 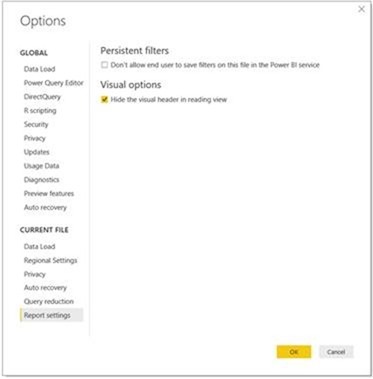 Note that you will still see the header in Power BI Desktop (since it’s always in edit mode) and when editing the report in the Power BI service. We’ve made some improvements to where we are placing visuals by default when you create them. You should notice that the automatic placement is now more logical and does a better job of filling in gaps that are available around already existing visuals. Mapbox provides mapping and location tools for business intelligence. 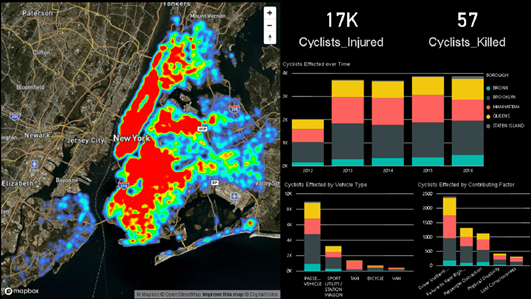 Their maps, search, and navigation APIS and SDKs seemlesly integrate into data visualization platforms like Power BI or can be extended to create custom dashboards or analytics tools. 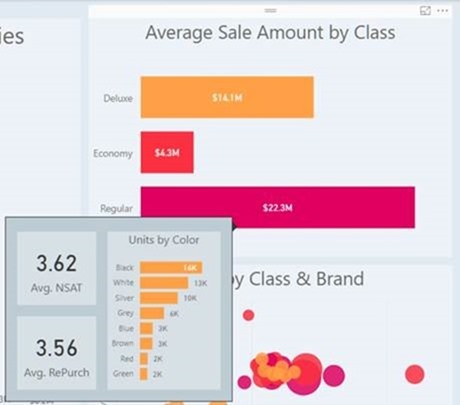 These features enable you to arrange and visualize data in new ways to help you understand your data better, all while leveraging Power BI’s infrastructure to uncover new insights. 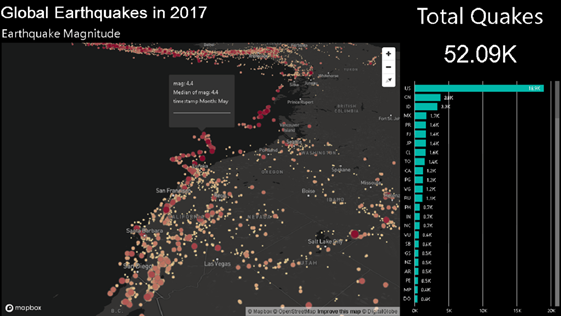 To create this visual, you will need a free Mapbox account. 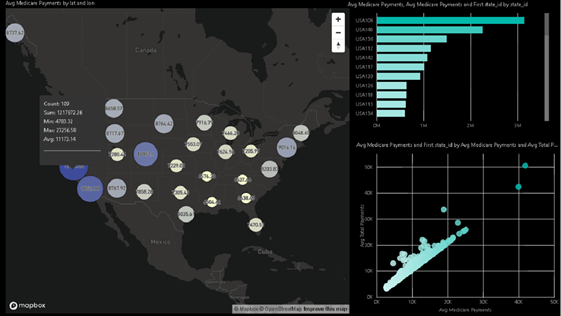 As of now, you’ll get 50,000 map views free per month, then you’ll be billed for overages at $0.50/1,000 map views. You can always see the latest pricing information on Mapbox’s pricing page. Only the report creator will need an account, and anyone can view an existing visual. 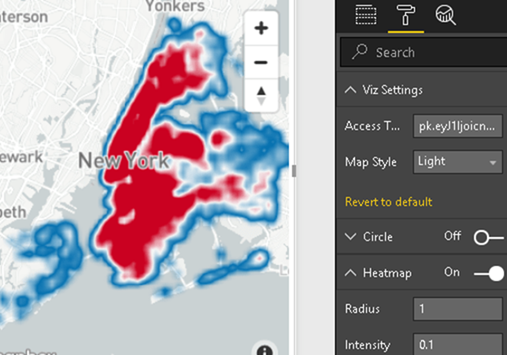 Download this custom visual on AppSource and learn more by reading Mapbox's documentaiton. 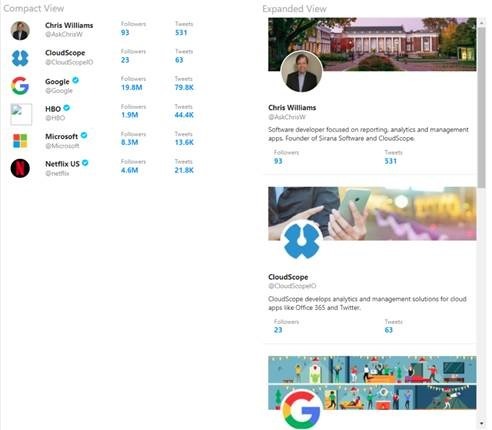 User List by CloudScope is a specialized grid-style visual that allows you to display data about users, organizations or other data elements. You can view this list in either a compact or expanded format depending on your presentation needs. You can also cross-highlight other visuals when selecting on an item in the list. Get this visual on AppSource. This will create a timeline visual you can use to integrate social media information into your report. Each status item in the timeline can be used to cross-highlight other visuals on your report page. There is also an enhanced version of this that you can create by providing a property collection called TweetJson, which will allow you to display embedded tweet media, author verified status and distinguish between different tweet types (tweets, retweets, replies and quoted tweets). 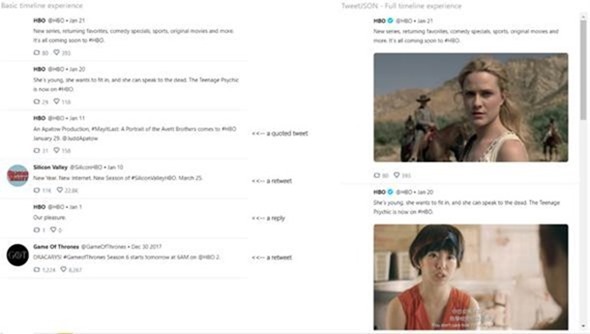 You can learn more about TweetJson on CloudScope’s website. Download the visual on AppSource. KPI Chart by Akvelon is a single visual for visualizing and analyzing the correlation between two measures. 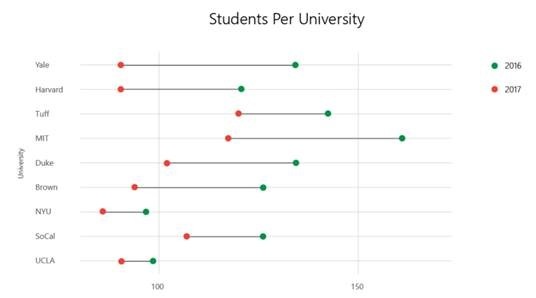 It combines a line chart and a column chart with the same X axis to show a representation of the distribution of numerical data. Additionally, KPI Chart by Akvelon allows you to show static and dynamic background KPI regions that can characterize, for example, the level of success before reaching the target. This chart is simplified version of the standard Line and Clustered column chart with the added ability to create multiple lines and add horizontal regions to assess progress. View the visual on AppSource. The R DataTable by David Eldersveld is an interactive R-powered table that helps you easily explore and filter data. You can find the visual on AppSource. 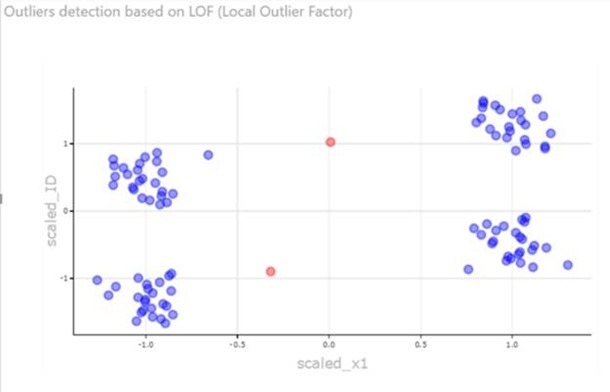 Use the Outliers Detection to find outliers, a data point a significant distance from most other points, in your data using the most appropriate method. This can help you find measurement errors or indicators of important occurrences or events. 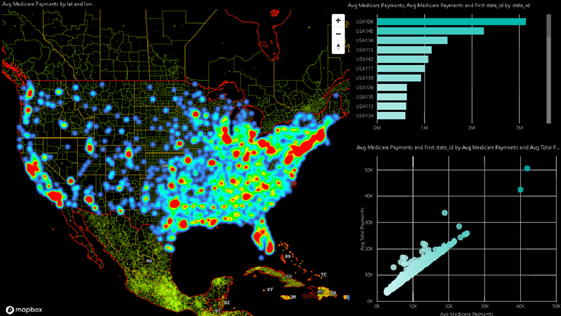 One such example is fraud detection, where outliers may indicate fraudulent activity. For each plot type, you can decide to visualize the original data or outlier scores. Check this visual out on AppSource. Data Insights by MAQ Software allows you to view data in multiple formats. You can switch between a horizontal bar, a vertical bar, a brick, or a tabular format. With Data Insights by MAQ Software, you can easily explore, select, and view selected data in the format that best fits your individual business needs. The Dumbbell Chart by MAQ Software displays critical measures and shows changes over a duration or across categories . 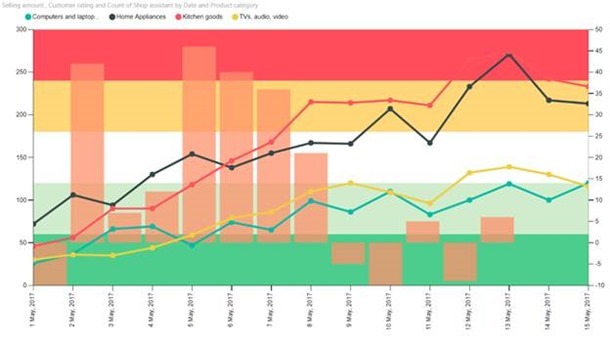 The Dumbbell Chart helps you analyze changes in critical data. This visual is an excellent choice for illustrating the change between two data points and comparing the distances between them. The visual consists of a dual-axis combination chart, where one axis is marked by a circle and the other is marked by a line that spans data points you provide. The ability to display the performance of multiple indicators. The ability to compare the growth or loss of indicators across various categories. Easy interaction with many data points using the zoom functionality. Quick downloading of an image of the chart with the capture image widget. Download the Dumbbell chart from AppSource. 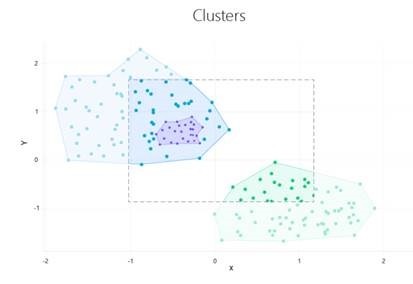 The Clustering using OPTICS by MAQ Software visual uses the OPTICS based clustering algorithm to analyze groups and hierarchies within a group. The algorithm works on density-based clustering, so you can also identify individual points that don't belong to any of the groups. You can perform hierarchical clustering on your data to identify more closely-knit groups within larger groups. This visual also allows you to adjust the clustering parameters to control hierarchy depth and cluster sizes. You can find the Clustering using OPTICS by MAQ Software visual on AppSource. Last month we released a preview of the new SAP HANA DirectQuery multidimensional connector. A few weeks ago, we enabled Power BI Service support for the connector (via the On-premises data gateway February update). This month we are glad to announce that the new DirectQuery multidimensional connector has hit general availability. Note that you can still opt into using the DirectQuery relational connector by enabling the option under “File -> Options and Settings -> Options -> DirectQuery -> Treat SAP HANA as a relational source”. 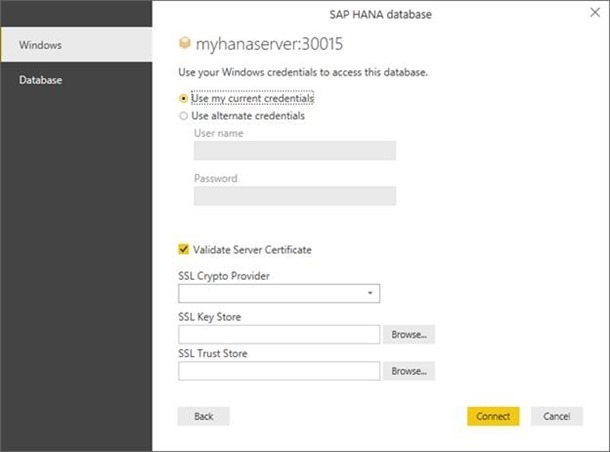 In this release, we’ve enhanced support for connecting to SAP HANA servers with SSL encryption by surfacing the SSL Certificate Validation options in the Power BI Desktop Credentials prompt. Note that you may need to remove or edit already stored credentials for a given SAP HANA server that you connected to before in order to leverage these new options. Support for these new options will become available in the Power BI Service (via On-premises data gateway) in one of the next few Gateway updates. Stay tuned! You can learn more about our SAP HANA connector in our documentation. We’re announcing general availability of the DirectQuery mode for SAP BW, which was introduced as a Beta feature a few months ago. Thanks everyone for your feedback during this Beta period, which helped us enhancing the connector and getting it into GA status. For this connector, it is important to discard existing preview DirectQuery reports. Errors will occur on old reports when you try to refresh the report. You can learn more about our SAP BW DirectQuery connector in our documentation. Another connector becoming GA in this month’s release is the Azure Analysis Services connector. We want to thank all of you for the feedback and encourage you to continue using this connector as it becomes generally available. If you ever get an error while using Power BI Desktop, you’ll no longer see the old send-a-frown experience where you email us the information. We’ve upgraded our error reporting experience to use Windows Error Reporting. Now whenever you hit an error, you’ll be able to send us the information directly through this new error dialog. 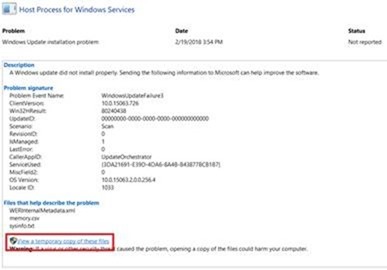 In addition to being able to submit errors in Power BI Desktop directly, another benefit of our move to Windows Error Reporting is that you now have a centralized place to see and search all your Windows diagnostic data that you've reported to Microsoft, which you can learn about in the Windows privacy blog. 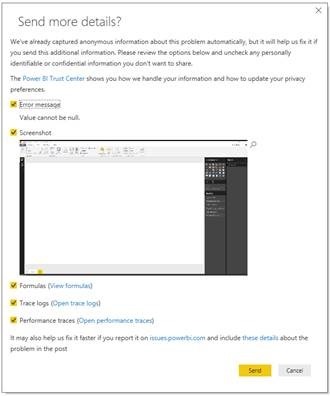 Since we are now using Windows Error Reporting, you can also view any errors you’ve previously encountered while using Power BI Desktop. 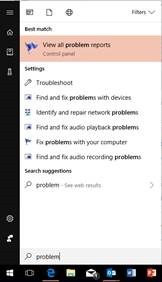 To do this, search for ‘problem reports’ in your start menu. If you select View all problem reports, you’ll get a dialog showing all your errors and you can double click any issue in the list to view the details that were sent to Microsoft, including any screenshots. If you chose to not submit a report initially, you can always get all the information from here to send to our support team later, if needed. Just click View a temporary copy of these files and save anything you need to send to our support team.